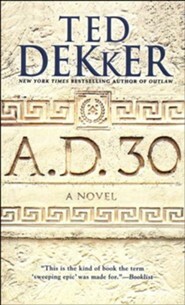 A sweeping epic set in the harsh deserts of Arabia and ancient Palestine. A war that rages between kingdoms on the earth and in the heart. The harrowing journey of the woman at the center of it all. 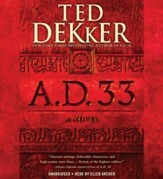 The story of Jesus in a way you have never experienced it.Step back in time to the year of our Lord, Anno Domini, 30. New York Times bestselling author Ted Dekker's epic historical novel about a woman who rises to lead her people when she is shown the way by Jesus. The outcast daughter of a powerful Arabian sheikh, Maviah is called to protect the very people who rejected her. When their enemies launch an attack, Maviah escapes with the help of two of her father's warriors. Their dangerous journey takes them to a brutal world subjugated by kings, where Maviah must form an unlikely alliance with King Herod of the Jews. But Maviah's path leads unexpectedly to an enigmatic teacher, who speaks of a way of life that offers greater power than any kingdom. His name is Yeshua, and his words turn everything known on its head. Though following him may present even greater danger, it may be the only way for Maviah to save her people--and herself. 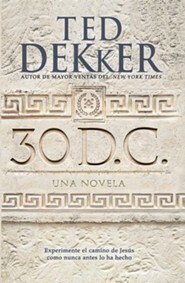 TED DEKKER is a New York Times bestselling author of more than 30 novels with a total of more than 10 million books in print. He is known for stories that combine adrenaline-laced plots with incredible confrontations between good and evil. 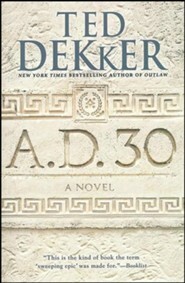 "True to Dekker style, A.D. 30 is a rich and engaging tale that captivates readers from the first page. 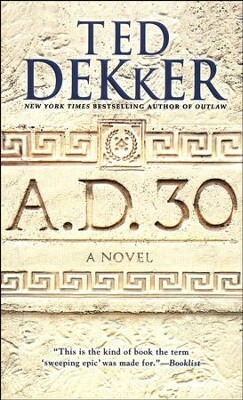 The depth of insight and development into characters is outstanding....This is a must read. "RT Book Reviews, Top Pick! 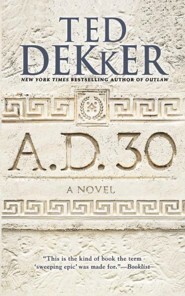 I'm the author/artist and I want to review A.D. 30, Paperback.